Betfred is another name that will be familiar to any keen sports betting fan from the UK. Starting from the humble origins of a single betting shop near Salford in 1967, Fred and Peter Done began the business that blossomed into what has now become the world’s largest independent bookmaker, its online site debuting in 2004. Not bad, especially when legend has it that the original shop was financed largely from a winning bet the Done brothers placed on England to win the World Cup in ’66! With such a ‘magic touch’, let’s see what delights Betfred can conjure up from its current online sportsbook. Betfred has many sections covering most sporting events that are happening around the globe 24/7. Betfred provides a comprehensive stats service. See Betfred site for details on Betfred Cash Out. See Betfred site for details on Betfred In-play Betting. See Betfred site for details on Betfred Live Streaming. See Betfred site for details on Betfred #PickYourPunt. See Betfred site for details on Betfred Double Delight & Hat-trick Heaven. Betfred.com is today a one-stop shop for all your betting needs covering bingo, poker and casino gaming in addition to its traditional bookmaking services, and all accessible from a single player account if you like to mix things up a little. Betfred’s sporting life lives under both a Sport and In Play tab in the main navigation and unleash a veritable smorgasbord of treats. In truth, Betfred’s so stuffed with offers that it does look a bit cluttered in its presentation – not quite ‘untidy teenager’s bedroom’ standards, but some of its rivals are a bit easier on the eye. That criticism aired, it’s not remotely difficult to find your way around its site and the actual nitty gritty of placing and managing bets with its virtual Bet Slip is pretty intuitive. It’s not as slick as sites such as Betway, but easily measures up to the experience of big bookmaker rivals such as William Hill so we’re not dissing Fred for usability. As you might expect from such a longstanding bookmaker, Betfred has a very thorough coverage of possible markets in the broad range of sporting categories it covers, but it has one particular trick we think’s rather special. Christened #PickYourPunt this is a fantastic service if you can’t quite find what you’re looking for. The deal is you can tweet Betfred a custom combination or whole new market you’d like to take a punt on, then leave it with Betfred’s traders to price it up for you. That’s bespoke bets at your beck and call. Very cool if you regularly like to go ‘off piste’ with your predictions! 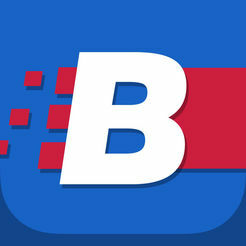 Betfred offers an iOS app and an Android app but it’s just as easy to play on your Smartphone’s browser. You can watch your favourite sports live on iPhone, iPad & Android. Betfred offers excellent 24/7 support, 7 days a week. Betfred uses Live Chat, Email, Phone and Post. Betfred isn’t going to win any awards for website design anytime soon, but neat freaks will be missing a trick if they dismiss this online sportsbook on aesthetic grounds. It ain’t pretty but its charms are considerable. Betfred is a treasure trove of first-class in-play and future sports betting, with plenty of bells and whistles including liberal Cash Out options and live streaming of events to enhance the experience. The brand’s boast is that ‘You’ll love a bit of Betfred’ and we have to say that it’s easy to see keen punters forming a long and meaningful relationship here.